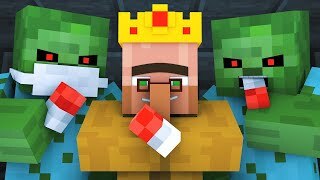 Teacher villager manipulates zombie in prison and tries to attack villager. And boss zombie and his wife have a daughter. There must be some secret about kid zombie. Don’t forget to Like, Subscribe & Comment, Share!! Alien Being is making Minecraft Life Animation & Monster School Animation for kids. ©2015 VMiXe.com. All rights reserved.